I know we have a lot of people that follow us outside of the North Alabama area, please refer to earlier Severe Weather post for information. 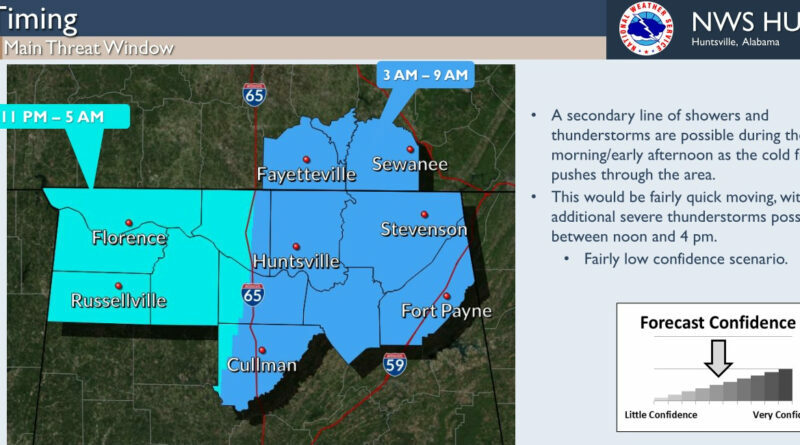 This update is specially for North Alabama. 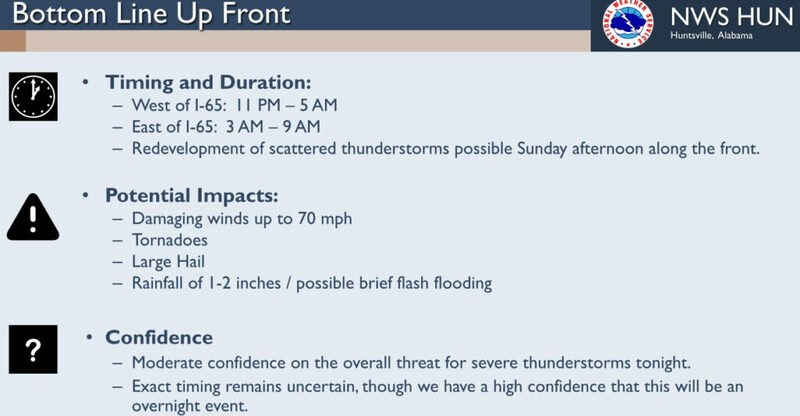 The main timeline for North Alabama Severe storms for Saturday night/Sunday should be overnight (beginning around 11 pm) and ending around mid-morning (around 9 am). 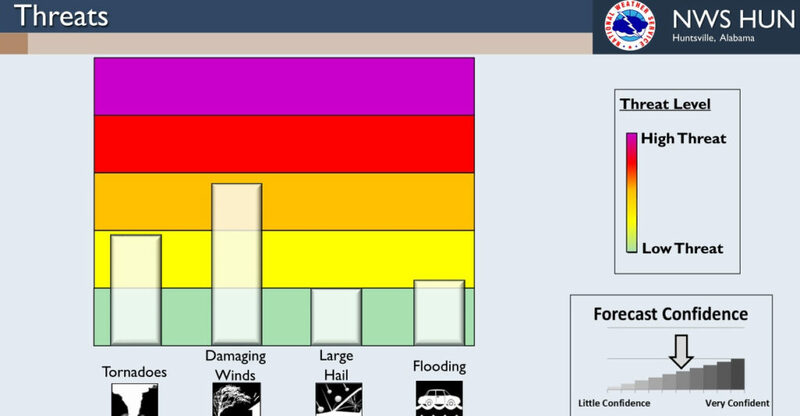 This will be our main Severe Weather Threat window. 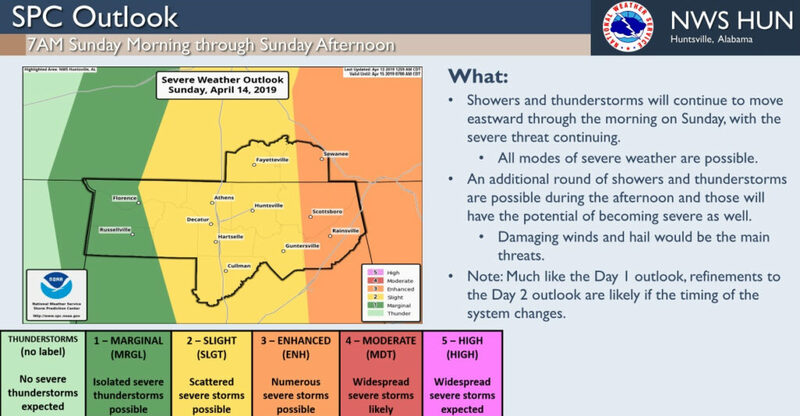 Although, there remains a potential for redevelopment on Sunday afternoon, as the cold front moves through the area, the timing and severity of those storms remains uncertain. 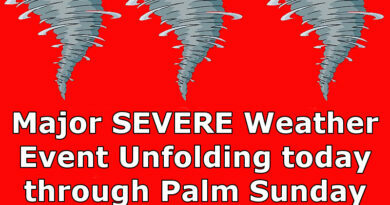 The greatest threat from the Sunday afternoon line should only be hail and damaging winds. 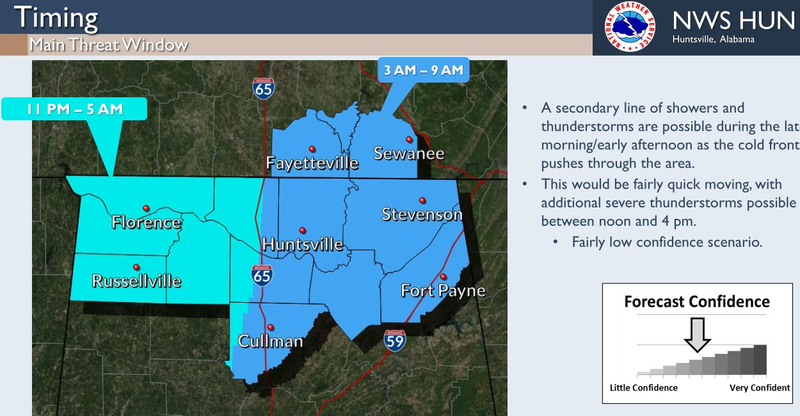 Please click on each image to see the updated slides from the National Weather Service in Huntsville, Al.